The 200 special forces troops are unable to reach Iraq due to Baghdad’s ‘excruciating inefficiency,’ an Australian daily said. 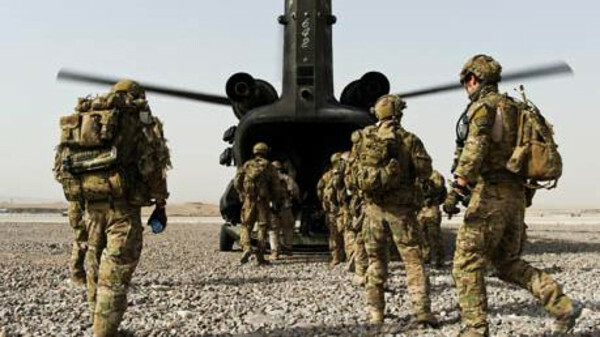 Australian commandos set to join the fight in Iraq against Islamic State of Iraq and Syria (ISIS) militants have hit an unexpected snag – Baghdad has not yet issued them visas, the Sydney Morning Herald reported on Thursday. Although 200 special forces troops are in in the Gulf awaiting their deployment, the Iraqi government’s “excruciating inefficiency” has made them unable to reach their assignment, according to the daily, citing an unidentified source. While Foreign Affairs Minister Julie Bishop declined to comment on whether the troops were in Iraq, Australian officials have been told by Baghdad that it would take another week or two for the commando’s visas to be granted. Baghdad’s slowness in processing the soldier’s travel documents can be explained it being politically cautious in allowing foreign troops in its territory, the daily reported. Australian PM Tony Abbott in September announced a positioning of forces in the region – making Australia the first country to commit troops in the U.S.-led anti-ISIS coalition. “The question of sending troops in was discussed several times and we were very frank and stated clearly that we are completely against the deployment of foreign troops on our territory, as it can cause justifiable fears and concerns among the Iraqi population,” he added. The Australian troops are expected to be partnered with an elite brigade of Iraqi special operations forces to offer both advice and assistance, Defence Force Chief Mark Binskin said earlier this month, according to the daily.